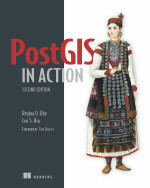 In the first part we covered bringing in Mass Towns data as Planar geometry, but were stuck because we need to transform the data to a degree based projection (in particular one listed in sys.spatial_reference_systems) to use the Geography data type, but SQL Server 2008 has no mechanism to transform that data. Now we shall demonstrate how to transform and import the data in a supported spatial reference system. 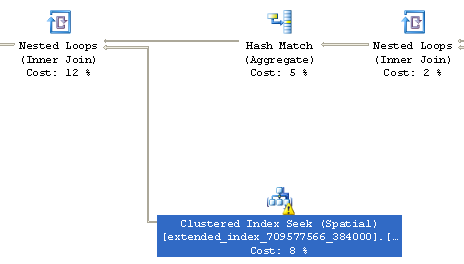 As mentioned before SQL Server 2008 has no mechanism for doing spatial transformations, so what to do? 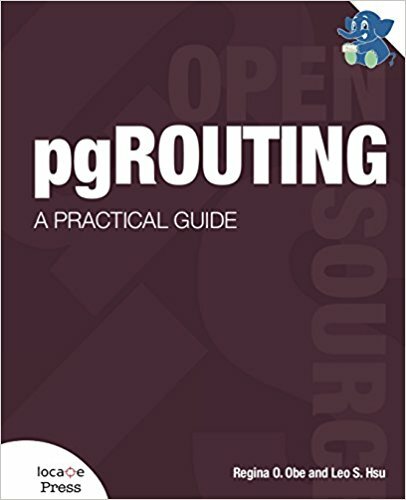 OGR/GDAL is a free Open Source GIS toolkit that is very useful for data loading and doing spatial transformations among other things. Its probably the easiest to use of all the tools. The below fails because Geography does not support Centroid - get error STCentroid for type STGeography not found. How many low income families are within x miles from this welfare office? Correlation between outbreaks of cancer and location of a nuclear oil spill taking into consideration the full area of the oil spill? Of course questions like these could be answered before, but are answered a bit more trivially with a spatially enabled database and are extremely difficult to answer if you are trying to find shortest distances between 2 objects that are not points. Note we know the distance is in meters because the spatial_reference_systems table tells us so. Most of the spatial refence systems defined in this sys table are in meters except for a few weird ones in Clarke's foot, Survey foot, and German metre. 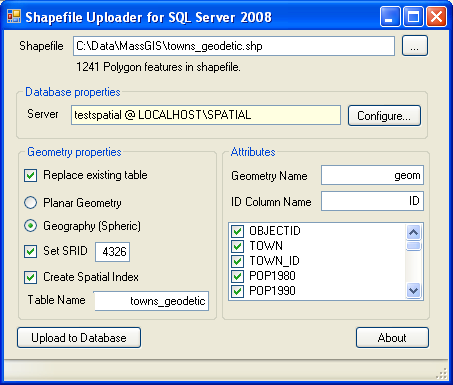 Here we are going to run this in SQL Server 2008 Studio since we don't have any map data to view and we want to take advantage of SQL Server 2008 Studio show plan features. Keep in mind just as in all OGC compliant spatial databases, the STDistance function defines the minimum distance between 2 geometries. So if you are comparing a Polygon to a polygon then its the distance between the points on each polygon that is the closest. Below is a slightly different query from what we used in planar and can be used equally in planar. Here we arbitrarily take the first point that defines a polygon in Boston and ask what town POLYGON/MULTIPOLYGON geometries are within 1 mile of this point and we also want to know the exact distances and results ordered by distance. 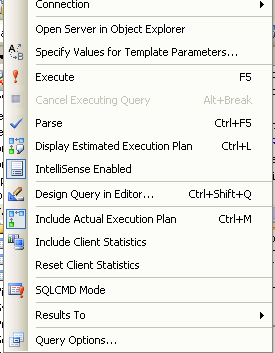 Now try clicking the "Include Actual Execution Plan" (or Ctrl-M for short) and hitting the Execute for the above query. You should see something like this which will give you a rough idea of where your processing time is going. Shown above is a very small fragment of the plan used. From this we learn that our query is using a spatial index (this is good), but there is a warning on it, not so good. Usually when you see a little warning like that, it means your planner statistics are either non-existent or out of date. If you right click on it and view details, it will tell you more about the warning. This query is already lightning fast, so we won't worry about this minor issue. In our next part, we shall delve into larger sets of data with more sophisticated queries, where speed will be an issue and we'll want to squeeze out every inch of speed we can. So I shall leave you with these words of wisdom as far as Query Plans go and these apply for most databases and not just spatial queries. We'll experiment with these rules of thumb in the next section. Scan for lack of indexes in plans where you would expect indexes to be used. Note just because no index is used even when you have an index is not an absolute cause for concern. Sometimes it is faster to do a table scan than an index scan.